1Rad-Reader Reviews: Interview Coming Friday: Lynnette Austin "Nearest Thing To Heaven"
Interview Coming Friday: Lynnette Austin "Nearest Thing To Heaven"
Ty Rawlins, the widowed father of rambunctious triplets, is at odds with Sophie London when she returns to Maverick Junction at Thanksgiving for her cousin Annelise Montjoy's wedding to Cash Hardeman. Chicago is home, where she runs Starlight Productions, her greeting card company. Sophie is a fish out of water in Texas. The cows freak her out. The long-horned steers are nightmare material. But Ty's triplets, one of whom spilled cherry soda on her white silk lap at Cash's barbecue, are enough to make her run all the way back to Illinois in her Jimmy Choos. 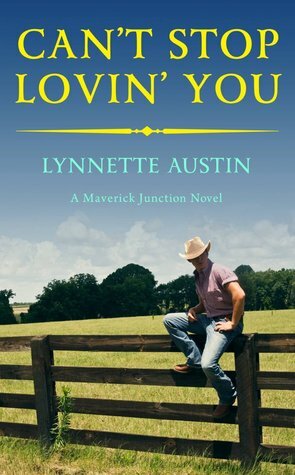 What will it take for Ty to convince Sophie that Maverick Junction is where she belongs, right beside him and his boys? 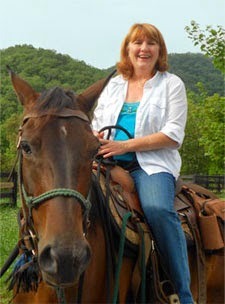 Tomorrow I talk to Lynnette about the questions I wanted answered most. I hope they are some you want to know too about Maggie & Brawley? She's the only dream he wants . . . Hometown girl Maggie Sullivan can't wait to get out of Maverick Junction. Designing the wedding gown of the year for her friend-and America's Favorite Heiress-is the break Maggie's been waiting for. But her lifelong dream takes an unexpected turn when she runs into her high school sweetheart-now the town's hotter-than-hot veterinarian. Brawley Odell, country right down to the tips of his cowboy boots, has returned to take over the local animal doctor's practice. But the real reason he's in town is that he's never stopped thinking about the fiery green-eyed beauty who once captured his heart . . .
Brawley Odell thought he was giving her the world but all he was giving her was a lifetime of hurt, by cutting her loose her senior. You see Maggie Sullivan and he were boyfriend and girlfriend since Jr. High. He, Cash and Maggie were also grade school friends so she was always there and he thought she always would be. But he thought wrong. Then came time for him to leave for college and she was a senior in high school. They knew they could make it work him coming home on weekends. He came home to her one weekend and holidays for as long as he could until this one weekend when he called and said he would come on a Friday night instead. She prepared and when he got there he didn’t even come in. At the door he broke up with her, telling her that it was for the best and that his mind was made up. No amount of talking was going to change his mind and no questions asked his way and no other way about. Done and over. Maggie was a basket case. Her parents were gone for three days thank goodness so she was able to just cry her eyes out that day. Cash came over to help her cry it out and get her to eat. Brawley of all people called her. She was devastated to say the least. She cried her tears, hardened her heart, and opened her clothing & design store. She never went on to design school but she never gave up her dreams of going to New York City. Brawley on the other hand went on to Dallas after college worked as a Vet for the rich and pampered. Then comes home once Doc retires and a Vet is need back home. He didn’t want to push his mentor out. Plus he really wanted to try and win Maggie back he missed her. At this point my thought was really dude? You dump this chick, you don’t give her a reason, and you don’t come back after college not even after a reasonable amount of time for her to have finished college. She sees and knows you dated a Dallas cheerleader and such. You think you can just swoop in? I don’t think so, I was partly right, Maggie was no push over. When Cash’s wife Annie wears one of her beautiful dresses she created she was able to begin her dreams of going to New York just a month after Brawley got home. I really enjoyed this book and highly recommend it. The sexual tension, the bantering, friendships, the family saga and country spirit make so worth the read. But the emotional conflict between Maggie and Brawley and the secret that is between them and once they have to face it on top of the death of a good friend is just heart wrenching. My only regret is that there was not prologue that was there with all the characters telling you who was who so that people like me who was new to the series knew what was happening with references were made at certain points. 5 stars for sure. Provided by netgalley.